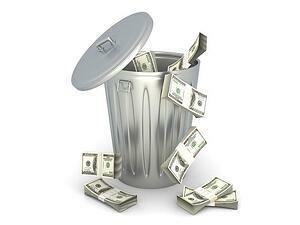 Put another way, eliminate waste and grow your net profits by 7.4% without adding a dime to your revenues. NCR is automatically emailed to person responsible for repairs. This avoids the most common reason for discarding products (as we hear it): Repair needs are not recorded accurately or are forgotten, requiring a new product to be manufactured in a hurry shortly before shipment. If a producer cuts his waste in half with product tracking, he will pay for the cost 3-times over while benefiting from the other cost-saving benefits of electronic QC records, inventory location and management, and electronic shipping records. Elimination of waste in all forms is the next frontier for growing precast profits. This is why many leading firms like Smith-Midland Corporation are embracing Lean Manufacturing, a culture dedicated to routinely weeding waste from every process. If you would like to learn more about how Lean Manufacturing can help increase profits at your plant, check out our web report: 17 Ways Lean Manufacturing Increases Profits and Wins Bids for Concrete Manufacturers. Would you like to learn more about product tracking? 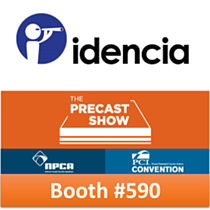 Download the Idencia Concrete Product Tracking deck by clicking below.